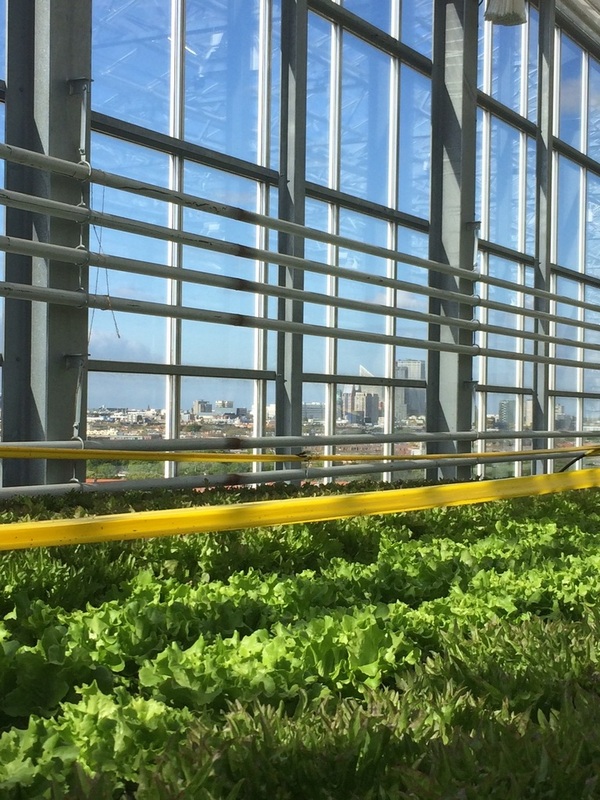 Farmers Guardian - Blogs - The wonder of Vertical Farming: Is it the future? The wonder of Vertical Farming: Is it the future? Nuffield Scholar, Sarah Hughes, talks to us about her interest in vertical farming. Currently in the midst of travelling the world to see what kind of impact it can have on the industry, she tells us what she’s learnt. I applied for a Nuffield Scholarship having worked in the UK agriculture industry for over 20 years, firstly as an agronomist then at Syngenta before moving to North Wales. After marrying a Welshman, I now live on a diversified upland sheep and beef farm. I also own an edible flower business called Eat My Flowers, which I started in 2011. The farm is mixed lowland and uplands uplands farming welsh mountain and Border Leicester and Texel-cross sheep and Charolais-cross beef cattle in a grass & silage fed system. The farm has also diversified into renewable energy schemes with solar panels and a new Anaerobic Digester and has a caravan park. I’m really interested in how technology can help agriculture and have an interest in vertical farming and some of the novel crops that can be grown. With my scholarship, I wanted to see whether vertical farming (VF) technology could have any benefits for a conventional farming system including growing hydroponic fodder and energy crops, or will it always be confined to urban situations providing leafy greens? I’ve split my travels and research into 3 areas: New technology of VF, novel crops and practical applications on conventional farms. I am still only half way through the scholarship and it’s too early to have any conclusions, but here are a few interesting things I’ve seen on my travels so far which have included Brazil, Japan, the Netherlands and the UK. I was lucky to attend a conference in Brazilia with Nuffield Scholars from all over the globe and hear their agricultural experiences. I spent some time in the Mato Grosso region of Brazil, which is one of the main growing areas of soya, maize, cotton and other arable crops. While there, we visited one of the country’s largest privately-owned farms and a grain store that held 60,000 tonnes of grain! They are double cropping on many of the farms and the rate of growth and variety and scale of crops grown was something that put UK agricultural challenges into a global perspective. Japan was next which was the other extreme - hardly any undeveloped land in many of the areas and rural depopulation made it difficult to find staff to work on the farms. I looked at different vertical farming and hydroponic systems along with some seed breeding companies that had completely different feed crop varieties to the UK. The Japanese were seriously innovative. One of the most interesting systems I looked at was the Granpa dome which produced 500-600 heads of lettuce a day and was managed by one person planting and harvesting it all at waist level. VF is really integrated into Japan from a labour supply, food security and water management motivation. There is a lot of investment from both the government and private companies. A trip to the Netherlands saw me attend the Global Forum for Innovations in World Agriculture where I witnessed an autonomous weed control robotic and a new animal protein feed made from converting methane. I visited a large tulip farm in the North which had integrated VF in a fully automated system for their cut flowers. The scale and automation were impressive. They had accessed government grants to work on collaborative projects to develop new industry specific machinery and technology. I visited a company at the forefront of plant development technology who were working on developing different traits in plants for the future such as nutraceuticals, pharmaceuticals, flavours, fragrances, cosmetics and aromas by manipulating the plants environment. In The Haag, Grow-up Urban farms had taken a derelict building in a rundown suburb and put an aquaponics (farmed fish and hydroponic vegetables on a closed system – the fish waste feeds the plants) to demonstrate how you can bring food production right into the centre of an urban landscape. Companies such as Grow-up box are doing similar things in London. So, what’s next on the list? The US and Scandinavia!